If you are a current resident of Gaithersburg MD preparing to move outside of the local area, let our interstate movers assist you. My Guys Moving offers friendly, affordable, and dependable service that you can always count on. Professional and courteous at all times, our interstate movers put your needs first! We know how difficult it can be for you to transfer your belongings over a long distance, especially if you have to take more than one trip. For your convenience, we will carefully label, inventory and package all of your personal items before the moving begins. Contact us today to learn more about our detailed moving process. Our interstate movers will inform you of your rights and responsibilities and then proceed with helping you move across the country quickly and safely. Providing assistance for interstate moves in Gaithersburg MD and surrounding areas allows our customers to have a reliable source for relocation. We will work closely with you to plan out your route and obtain all information about your new destination; this includes deciding on a delivery date and time. All trucks will also be weighed before and after loading to ensure that we can accurately calculate the final amount. 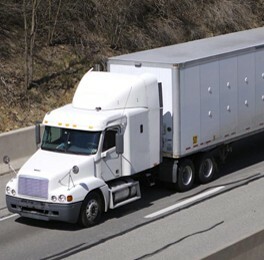 Unlike local moves, which are charged by the length of time that you need our help, interstate moves are based on the overall weight of your items. If you need to know more about exactly how our interstate moves work, don't hesitate to ask. My Guys Moving proudly helps with interstate moving for customers in Gaithersburg. On moving day, we arrive at the scheduled time. Once all items are labeled accordingly, we will begin loading up our trucks and then drive to the nearest weigh station to weigh your shipment. Rest assured that you will always be informed about the status of your belongings, including route changes due to weather or traffic discrepancies. Updates are usually provided within a one-hour window of the delivery time. We can also unpack for you during our interstate moving process if you prefer. Just let us know! Bethesda, Frederick, Westminster, Mount Airy, Chevy Chase, Potomac and surrounding areas.